Now there is a way to cover surfaces and gaps between the boards at the same time! The Gap Wheel Stain Applicator is the fastest, easiest way to stain. Simply load the stain applicator pad with stain using a standard tray, and then cover the surface and gap in one pass. The Gap Wheel is spring loaded so it drops 3/4" down in-between the boards to stain the board edges. The non-sticking Gap Wheel easily moves with the applicator, and climbs in and out of board gaps without snagging or getting stuck. The stain applicator pad is made of a flocked neoprene, which allows stain to be thoroughly worked into wood without streaking. The Gap Wheel Stain Applicator can be attached to a pole for longer reach. The adjustable pivoting handle also bends down to fit under railings with ease. 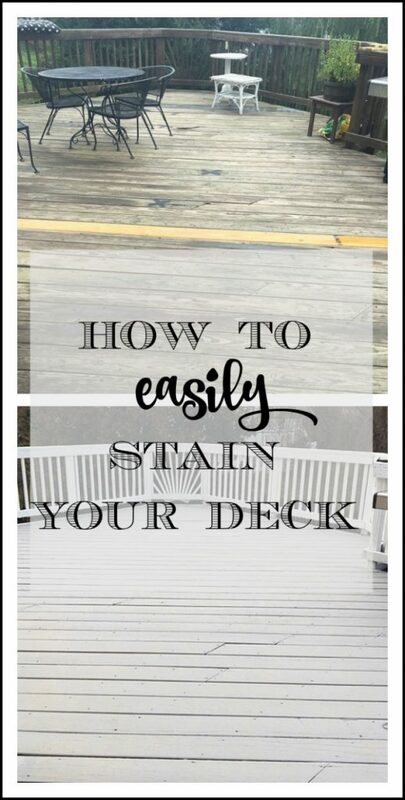 Serena from Thrift Diving shows viewers her top 10 tips to know when staining a deck. Now there is a way to cover surfaces and gaps between the boards at the same time. The Gap Wheel™ Stain Applicator is the fastest, easiest way to stain.